Team17 and Mouldy Toof Studios have released The Escapists: Complete Edition on Nintendo Switch. The game is now available via Nintendo eShop for £9.99 / $14.99 / 14,99 €. Team17, a global games label, creative partner and developer of independent, premium video games and Mouldy Toof Studios are excited to announce that The Escapists: Complete Edition is out now for Nintendo Switch™. 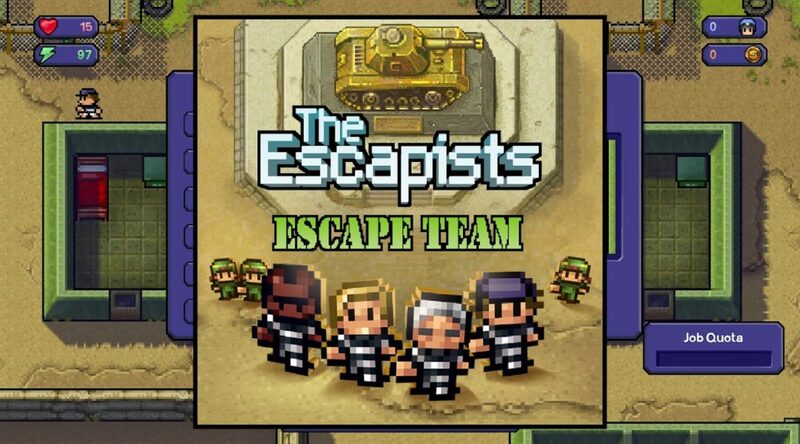 The Escapists: Complete Edition is the most content-packed version of the game ever and includes all the prisons from the original game plus nine bonus maps! The Escapists: Complete Edition is available to download now for Nintendo Switch™ for just £9.99 / $14.99 / 14,99 €.